Give a magnificent look to your space and create a comfortable and cozy atmosphere by placing this beautiful handmade woolen dhurrie. 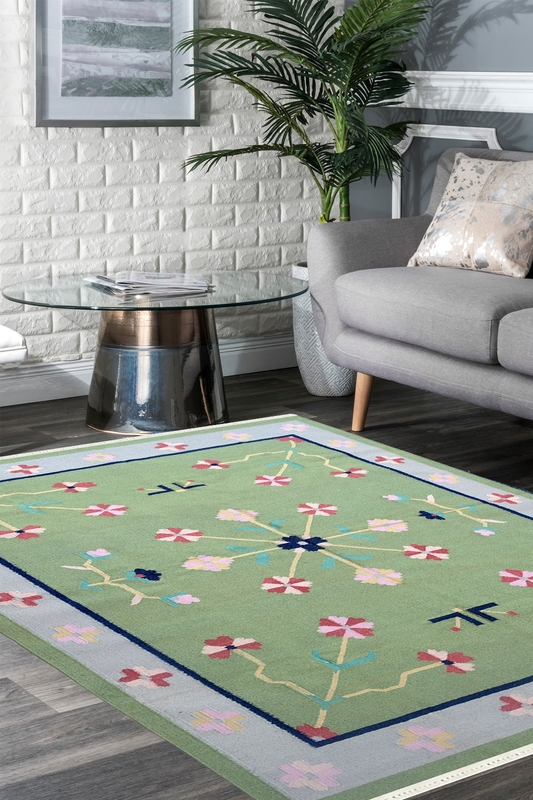 The ground of this dhurrie is in smooth green color with bold floral motifs. This is woven in India. Lay a timeless foundation for your stylish space with this Green, pink and blue colored woolen dhurrie. It is woven in a traditional style. Handmade woolen dhurrie is a cheap rug as compared to a handmade carpet which is available at best price. It is woven on a handloom by hand. This is made in the finest quality of wool and cotton material. The warp is in cotton and weft is in wool. It is a reversible rug and 100% hand-washable.